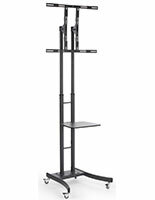 This rolling television stand w/shelf is designed for commercial use but stylish enough to match any decor. 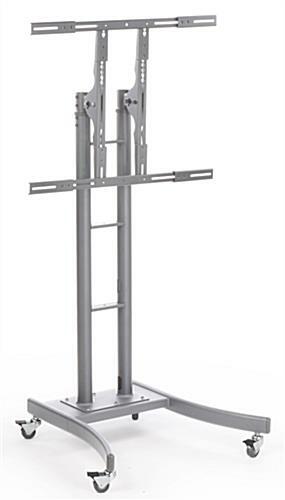 Each mobile monitor display offers adjustable height from 55" to 90.5" overall as well as a versatile bracket that will support 32" to 65" wide flat panel screens. 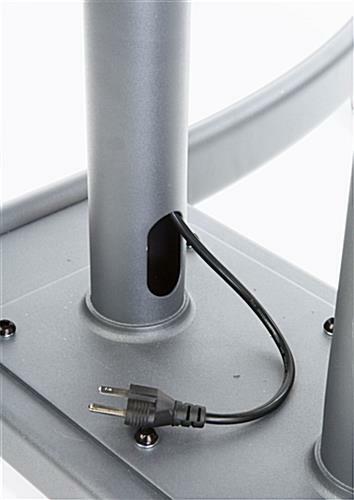 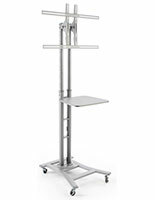 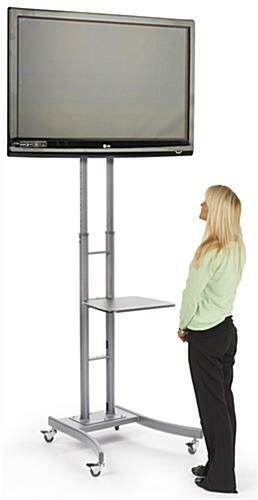 The silver finish steel television stand w/shelf includes a removable 19" wide shelf for accessories or peripherals. 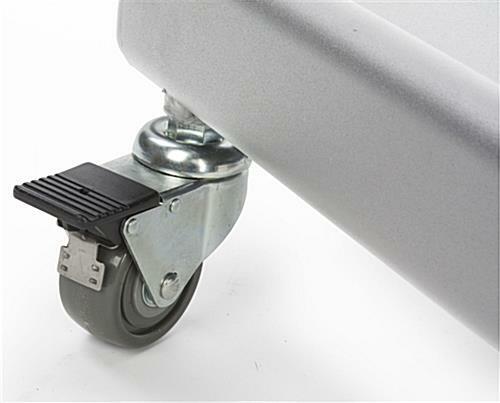 Each of the four caster wheels will lock securely for stability. 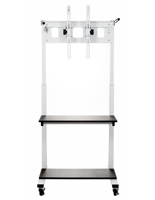 The mobile television stand w/shelf and VESA-compatible TV mount bracket is a perfect choice for a variety of uses and environments. 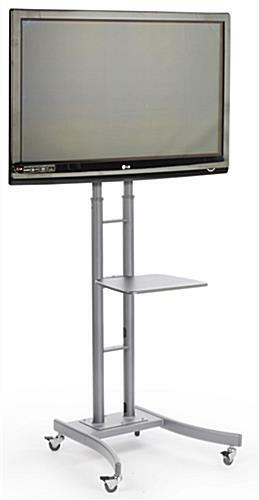 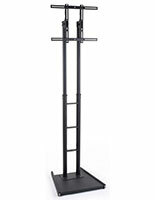 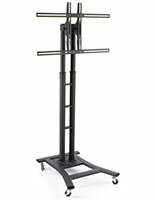 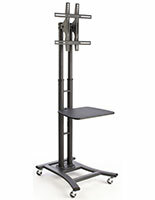 The ease of movement and transport makes this rack ideal for trade shows, conferences, presentations and video/tele-training sessions as well as for in-store or waiting room displays.